Masters of Wisdom: His Holiness the Dalai Lama is a jewelled casket of spiritual wisdom and practice to promote world peace and global happiness, love and compassion. 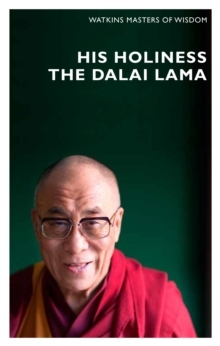 The Dalai Lama writes clearly and concisely in a delightful, measured prose that inspires and uplifts everyone who reads it in whatever part of the world. His spiritual advice is profound, practical and helpful - a true panacea for the sufferings of a troubled world. His writings transcend all differences of religion and convey his eternal message of the best way to attain universal happiness and peace. The anthology covers the major themes of this great man's teaching, arranged in 25 chapters. Among them are Science and Religion, Compassion and the Individual, The Pillars of World Peace, Personal Responsibility, Buddhist Teaching and Opening the Eye of Awareness. You will also discover here His Holiness' learned advice on Caring for the Earth and his controversial thoughts on Tibet. The book includes a thorough Biography and an authoritative Introduction as well as a specially written foreword by his Holiness.